Franz Ferdinand, Archduke of Austria-Este (December 18, 1863 â€“ June 28, 1914) was an Archduke of Austria, Prince Imperial of Austria, Prince Royal of Hungary and Bohemia, and from 1896 until his death, heir presumptive to the Austro-Hungarian throne. 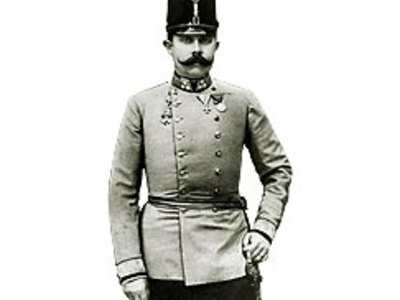 His assassination in Sarajevo precipitated the Austrian declaration of war. This caused countries in alliances with the Austria and Serbia respectively to declare war on each other, starting World War I.
Franz Ferdinand are a Scottish indie rock band, formed in Glasgow. 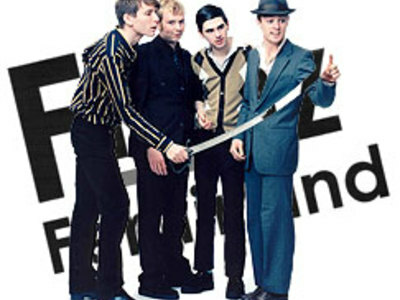 Formed in 2001 and named after Archduke Franz Ferdinand of Austria, the band consists of Alex Kapranos on lead vocals and guitar, Bob Hardy on bass guitar, Nick McCarthy on rhythm guitar, keyboards, backing vocals, and Paul Thomson on drums, percussion, and backing vocals.